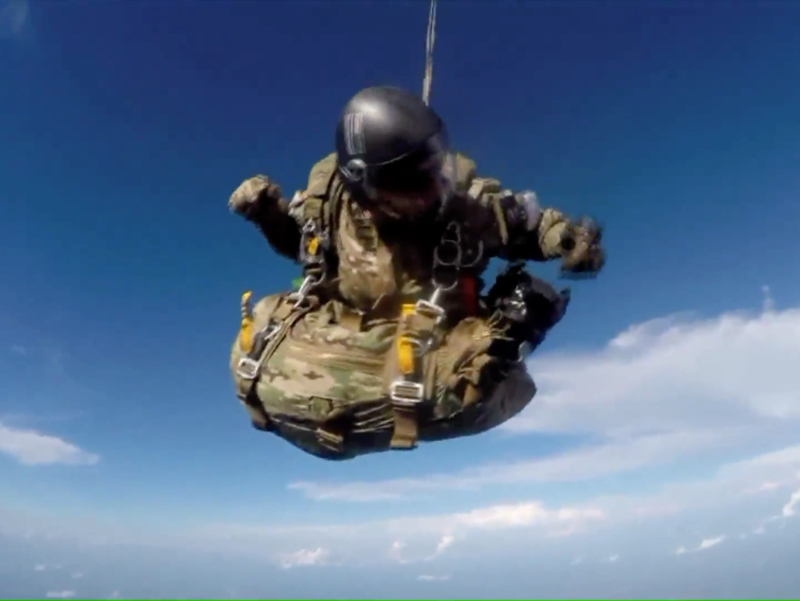 Alex Coker, Desoto County Sheriff's Deputy, is an avid skydiver and skydiving instructor. He's taken his dog, the 75-pound Duke, on four jumps so far, making Duke the first dog to skydive at West Tennessee Skydiving. If Duke continues jumping, he could be issued the very first skydiving license for a dog - and could technically jump out of the plane alone, without a human. Alex Coker is many things - ex-military, a sheriff's deputy, a skydiving instructor, and a pet owner. And sometimes, he combines a few of these things. Duke is a bit bigger than other dogs that have jumped out of planes. He's also not a military animal, like many of these "flying" dogs are - he just enjoys it. Coker told People he can tell that Duke loves it because "his ears stick straight up," and because he loves to stick his head out the window while Coker drives, which is a similar feeling. With only 21 jumps to go, Duke is on his way to becoming the first certified canine skydiver. This means he could technically go skydiving by himself! But Coker told People that won't happen because he "loves him too much to let him do it alone."